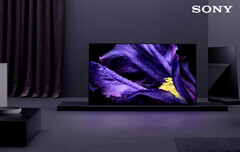 With advanced processors and backlight technology, Sony's premium range of 4K HDR TVs gives you more intense colour, dynamic contrast and impressive detail than you've ever experienced before. 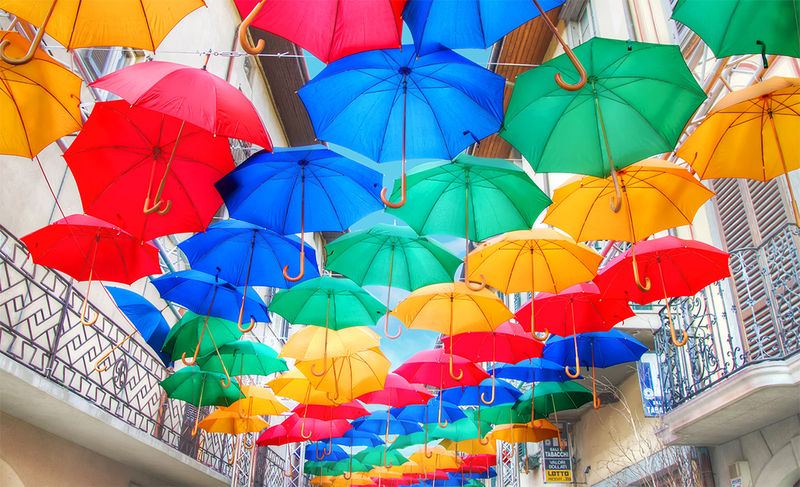 Incredible contrast, real-life colours and exceptional 4K detail. 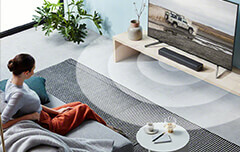 Get closer to reality, even with regular broadcasts and movies, thanks to unique technologies from Sony. 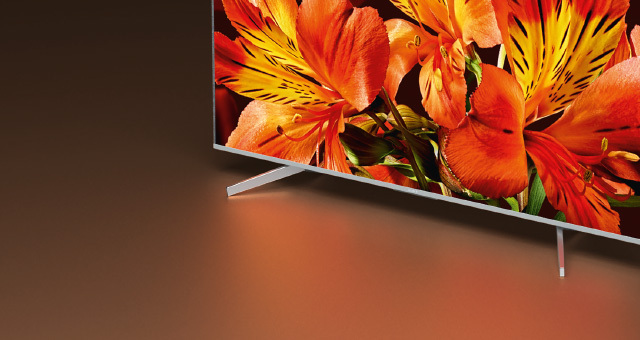 Bravia’s 4K HDR Processor X1 Extreme™ delivers our most beautiful and realistic pictures ever – thanks to 40% more processing power than our conventional 4K Processor X1™. 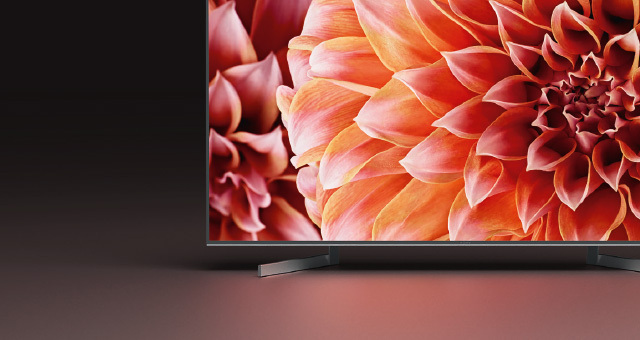 See everything you watch come to life with greater depth, detail and texture thanks to a combination of 4K X-Reality™ PRO and additional unique processing technologies from Sony. 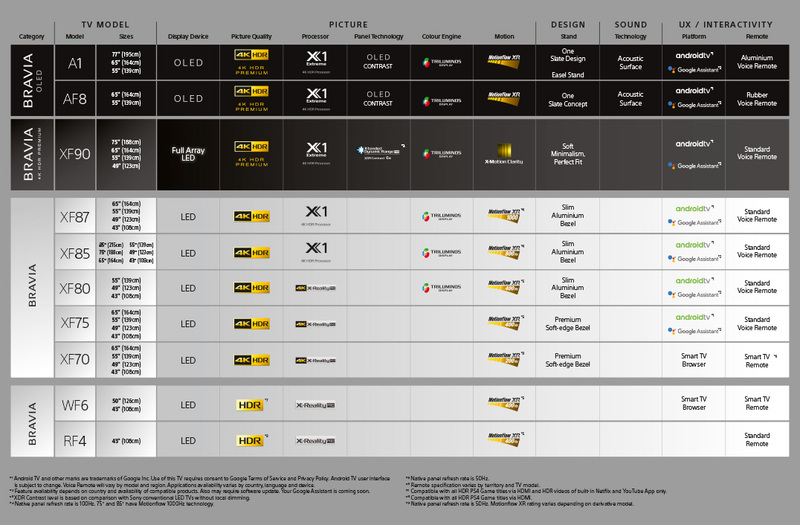 Every scene is analysed and improved thanks to an image database that addresses contrast, colour and detail, for a beautifully enhanced picture. 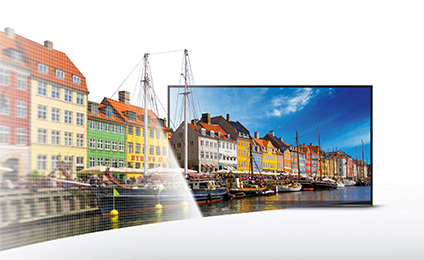 X-Reality™ PRO upscales and refines the pixels on screen for reduced noise and exceptional clarity. 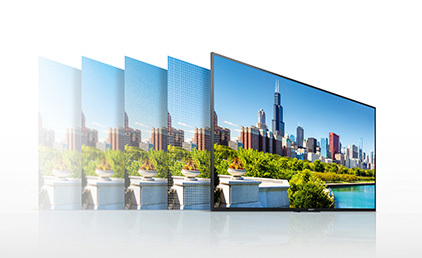 Unique to Sony, a TRILUMINOS™ Display enriches your viewing experience with a wider palette of colours and more natural shades and hues. It also displays skin tones beautifully, thanks to its extensive colour palette and precise gradation. Discover games and photos, music and movies, internet and apps. 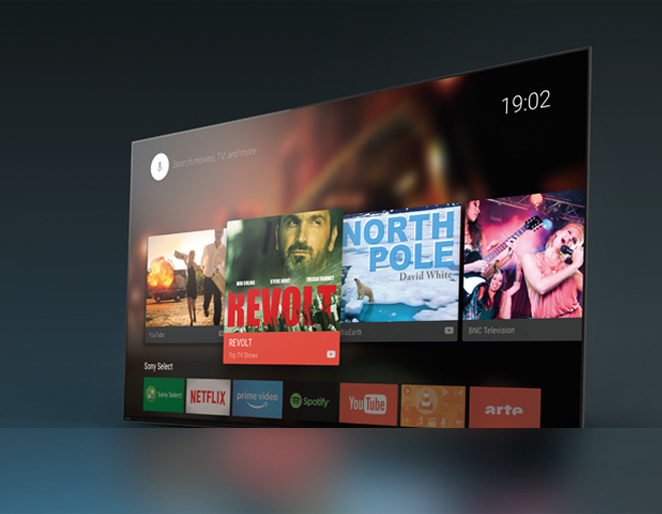 An Android TV™ with the Google Assistant voice functionality, Catch-up TV & 4K Streaming delivers a whole new world of entertainment. 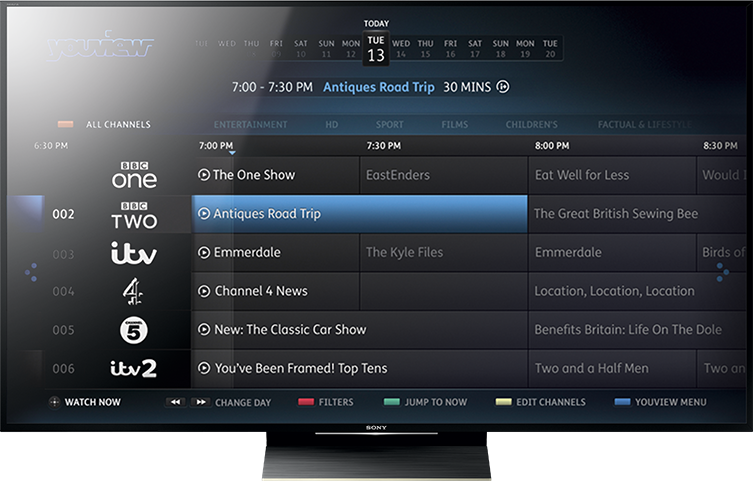 Searching couldn't be simpler with YouView's 7-day scroll-back TV guide. It brings together catch-up TV from across BBC iPlayer, ITV Player, All 4 and My5 – so everything's ready and waiting for you, in one place. ‘Sony’ and their logos are registered trademarks or trademarks of Sony Corporation. All other logos and trademarks are the property of their respective owners.